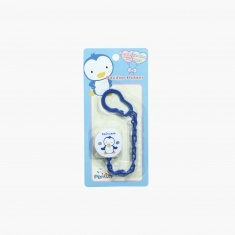 Now there will be no more lost or dirty pacifiers as you get this appealing pacifier holder. You can attach this holder on your little one's stroller or his clothes to prevent it from falling and getting dirty. The clasp of the holder is strong enough to hold against your little one's pull but gentle enough not to damage their clothing.